"'My mother was an oyster . . . and I'm the pearl,' he said with a wink." "I'm ambitious . . . but I hope I still know the difference between right and wrong." "I've seen what you truly are . . . and I've never turned away. I never will. Can he say the same?" I actually liked this book better than Shadow and Bone, which is impressive. Usually the first book in a series really captures my attention and draws me in, but I'm disappointed with the following books. Not this time, happily. I really, really liked the characters and world building in this book. The plot and characters felt more fresh and original than the first book, and the dialogue flowed better in my opinion. The action was riveting, enough so, that I requested the third book from the library before I even finished it. I just have to know what happens! I love Sturmhond. He's not perfect, but he's hilarious and so much fun to read about. And his lines are just great! (see the hilarious quote at the top about him being a pearl and his mother an oyster) And the Darkling . . . as much as he is a terrible, terrible person (okay, not a person really) there's still something about him that draws you in. I think it takes tremendous talent to write a character like that, and I applaud Leigh Bardugo for it. You want Alina to stay away from him, but you also want her to be with him at the same time. Thumbs up, Leigh. I do still get serious Hunger Games vibes from Alina. Parts of the book read so much like Katniss in the Hunger Games: Alina's resistance to being a hero to the people, her assertion that she's "not a symbol," and her grooming into being a leader. Also, there's a love triangle, or maybe a love square. The plain Jane girl who the guys all want and is going to save the world trope gets a little bit tiring. 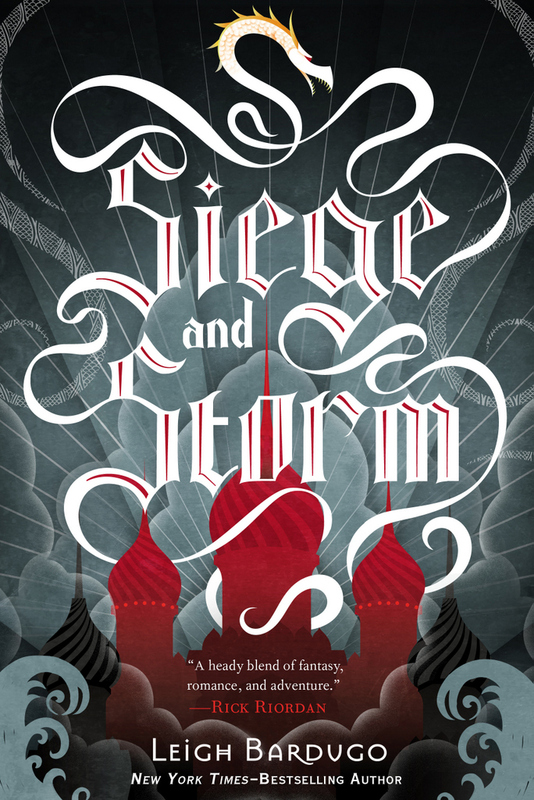 But still, it was a super fun ride and I'm thoroughly enjoying immersing myself in the Grisha-verse.